I was drawn to Eau de Soir eau de parfum from Sisley because of its spectacular design. There’s a ‘classic-meets-Versace’ style about it, which works very well indeed. 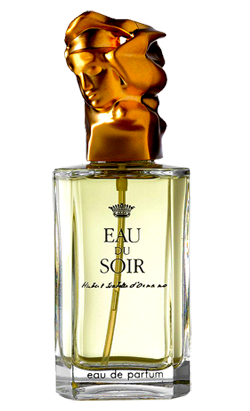 The bottle has a sculptural 18-carat matte gold-plated stopper designed by Polish sculptor Bronislaw Krzysztof, making Eau du Soir a real classic fragrance with a ‘wow’ factor. So I tried it on and absolutely loved it. It’s one of those scents that smells expensive but is light enough to be worn in the daytime or in the evening, making it a versatile option. It balances the freshness of citrus aromas with floral and chypre notes and sweet amber and musk. This scent will appeal to a wide audience as it’s not overpowering: it’s strong yet understated, making it an ideal Christmas gift. It’s also striking and original, and will look fabulous on anyone’s dressing table. Check it out, you won’t be disappointed. Eau du Soir gradually reveals its subtle harmonies, its perfect balance of contrasts between the freshness of citrus, sensuality of floral and chypre notes, and intensity of amber and musk. For more information go to www.sisley-cosmetic.com. Prices start at £72.50, 30ml. This entry was posted in Scents and tagged beautiful, Christmas gifts, classic, eau de parfum, Eau du Soir, Sisley. Bookmark the permalink. for your great info you have right here on this post. I’ll be returning to your website for more soon. Soon after study a number of of the blog posts on your internet site now, and I really like your way of blogging. I bookmarked it to my bookmark internet site list and will probably be checking back soon. Pls take a look at my internet site at the same time and let me know what you feel.